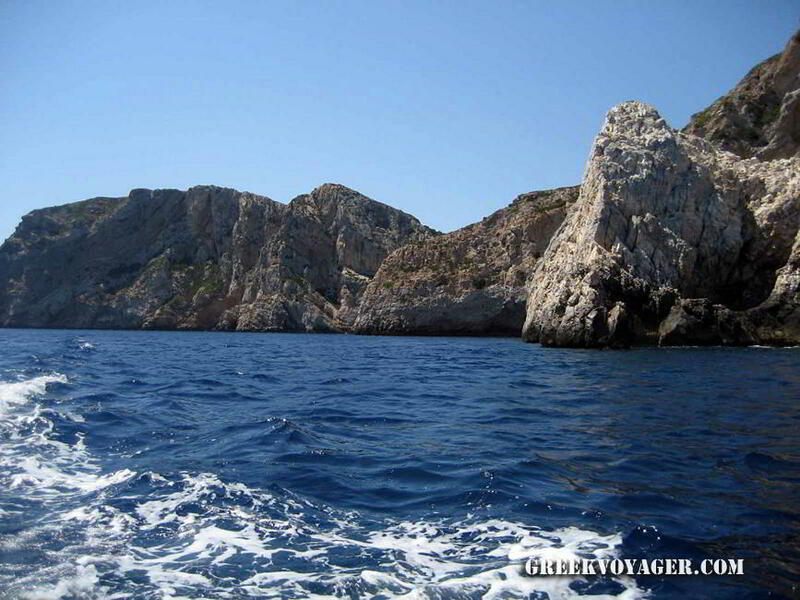 The largest marine park in Europe! 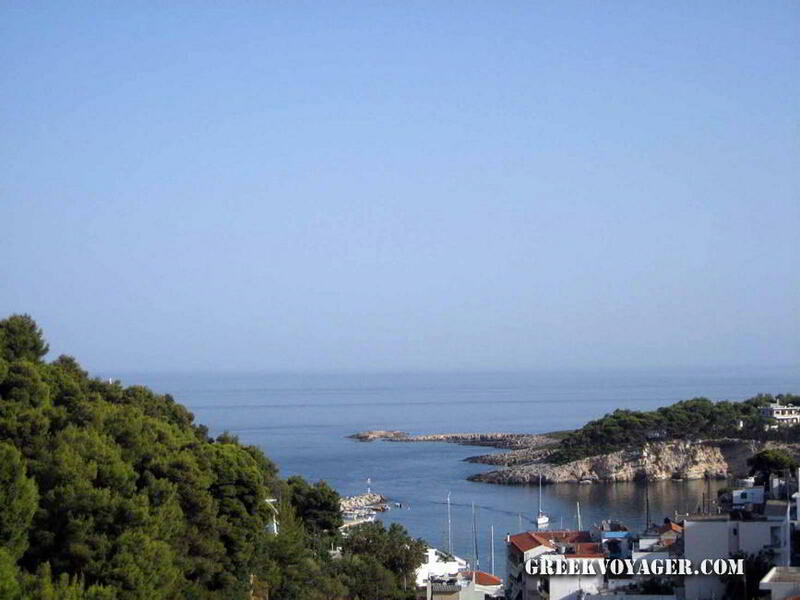 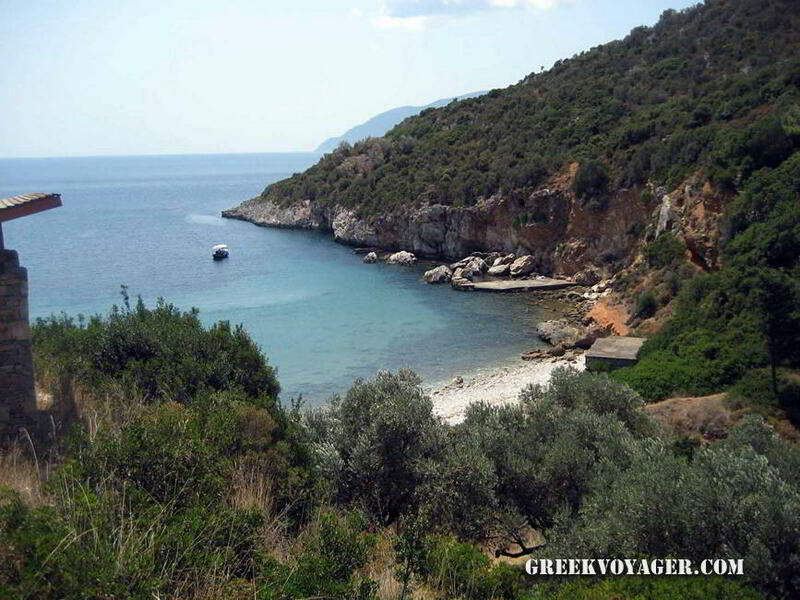 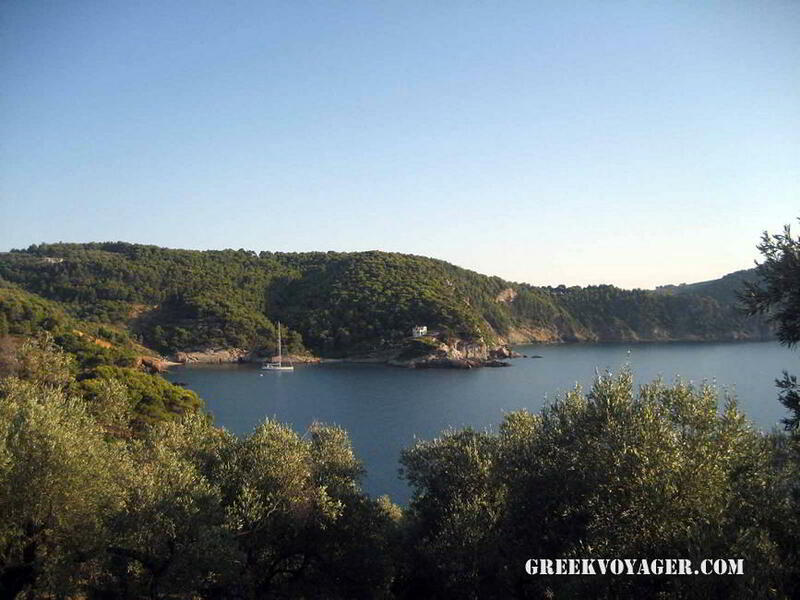 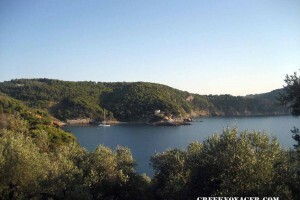 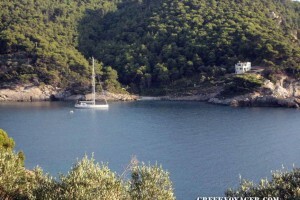 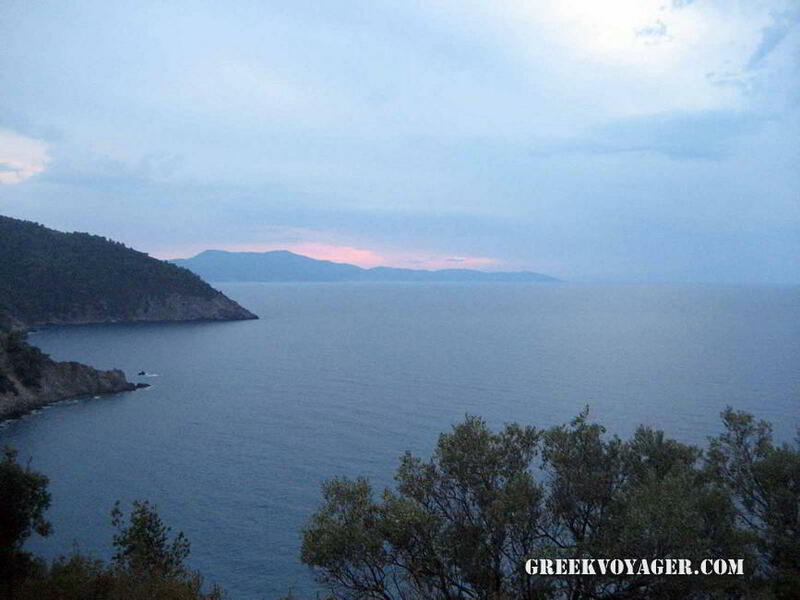 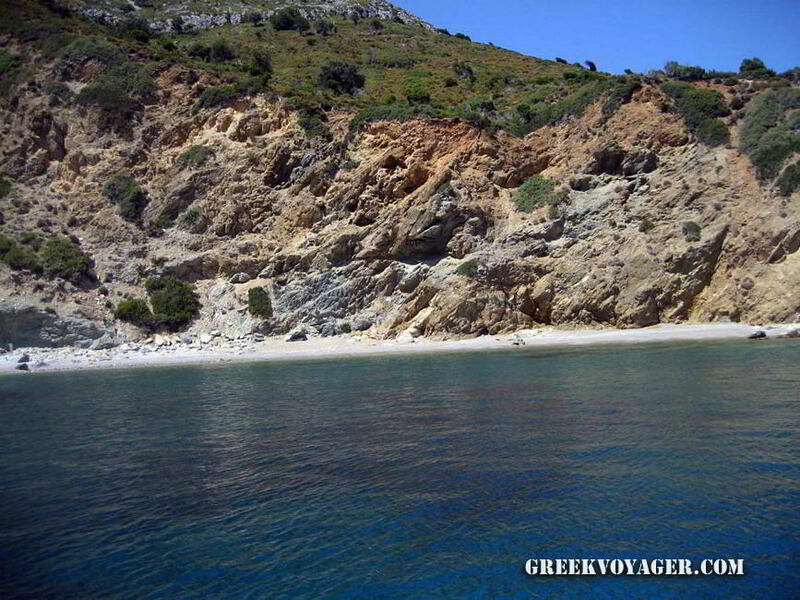 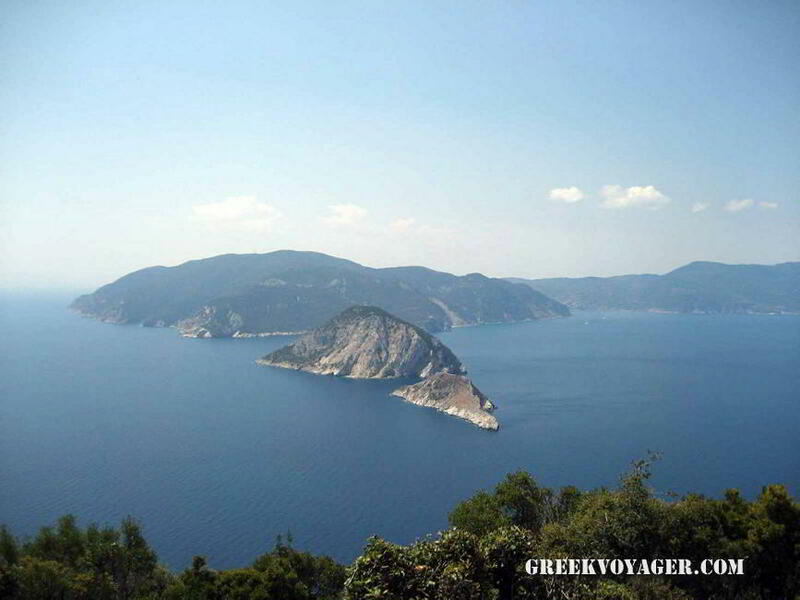 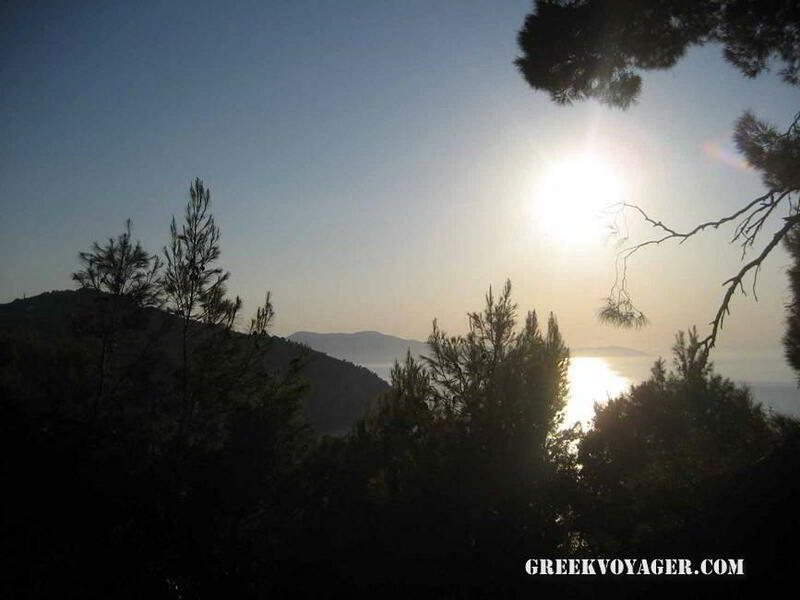 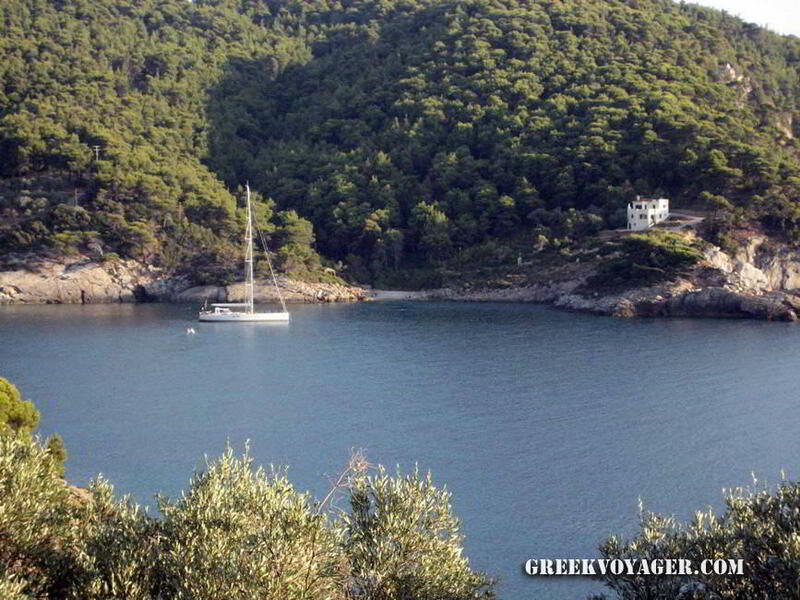 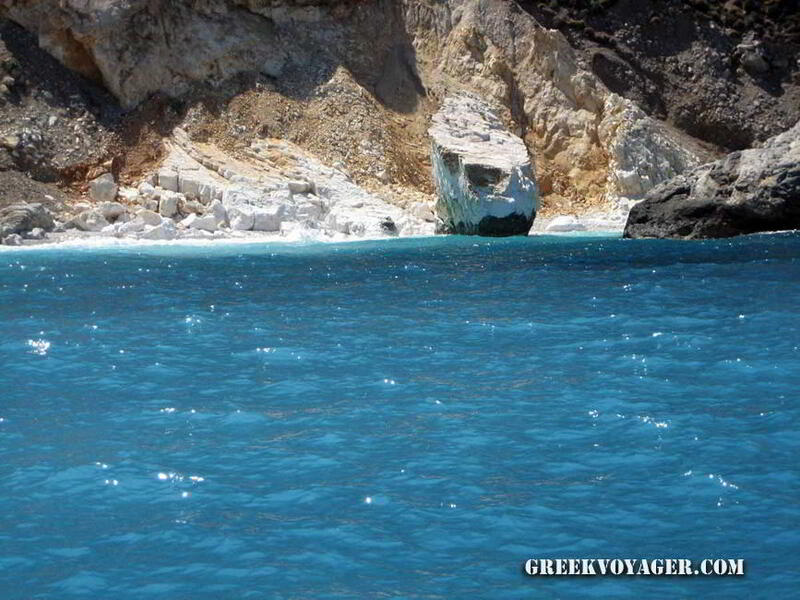 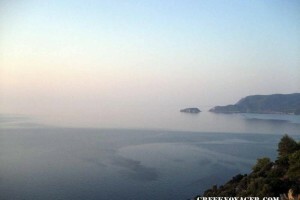 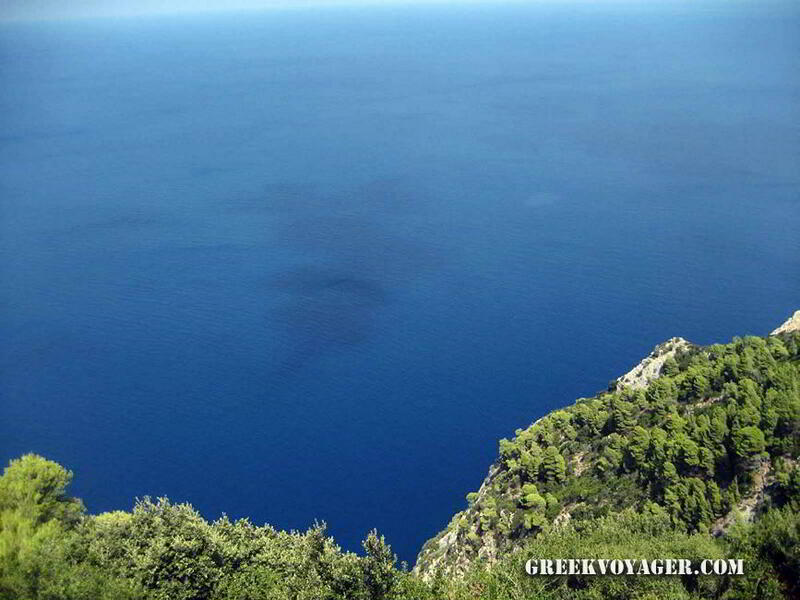 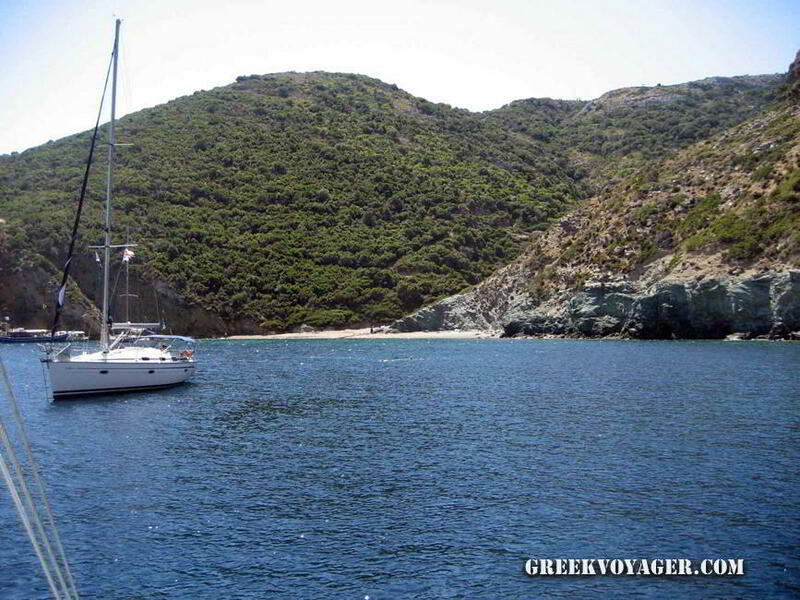 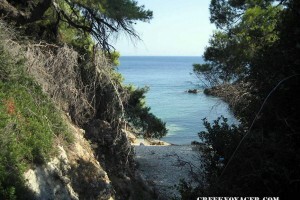 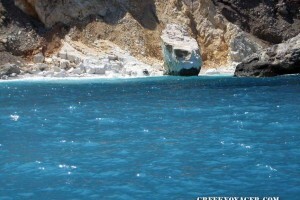 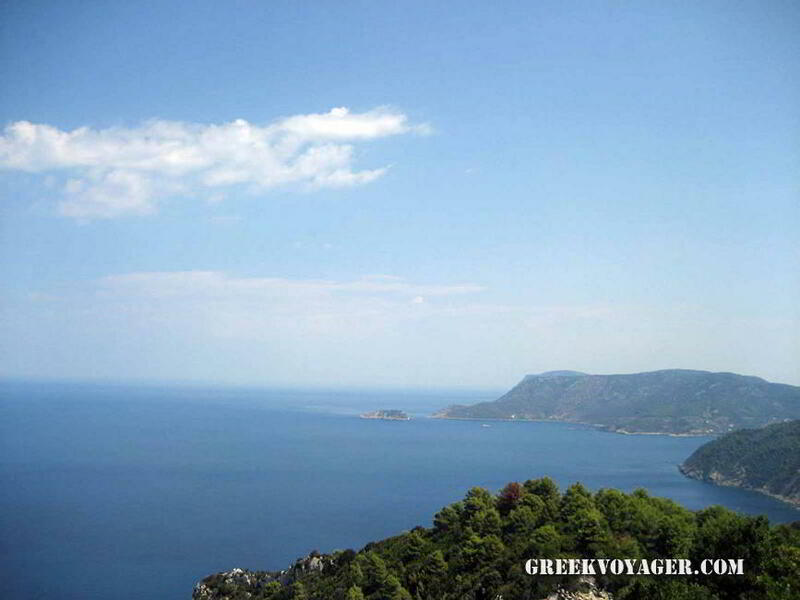 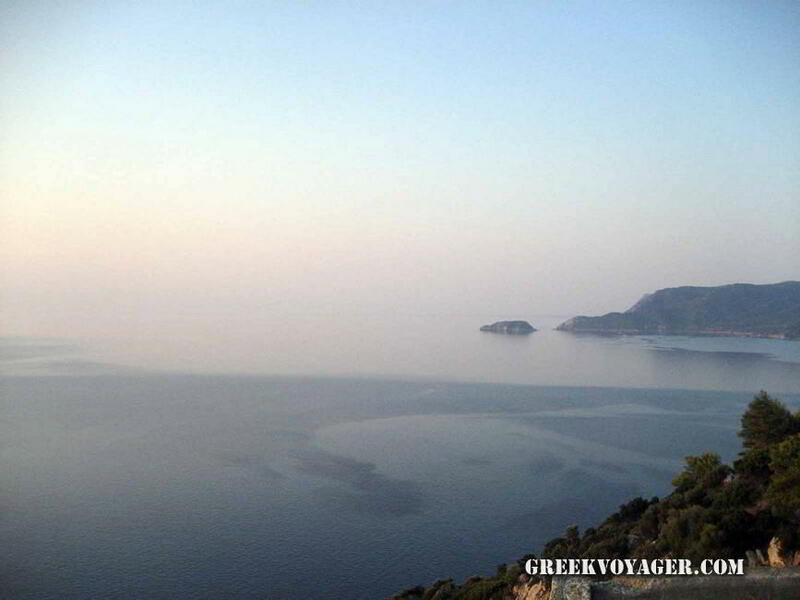 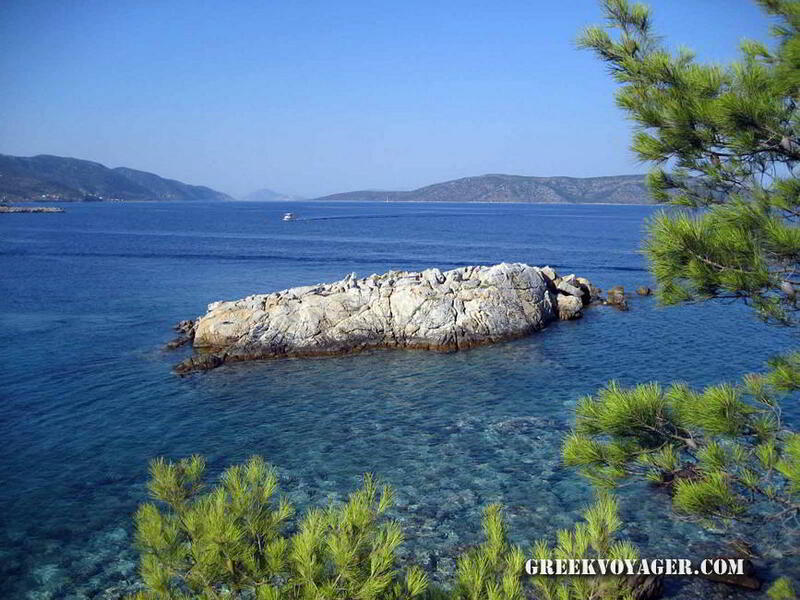 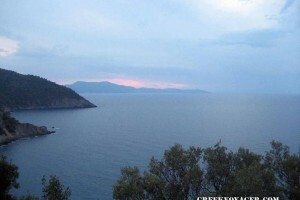 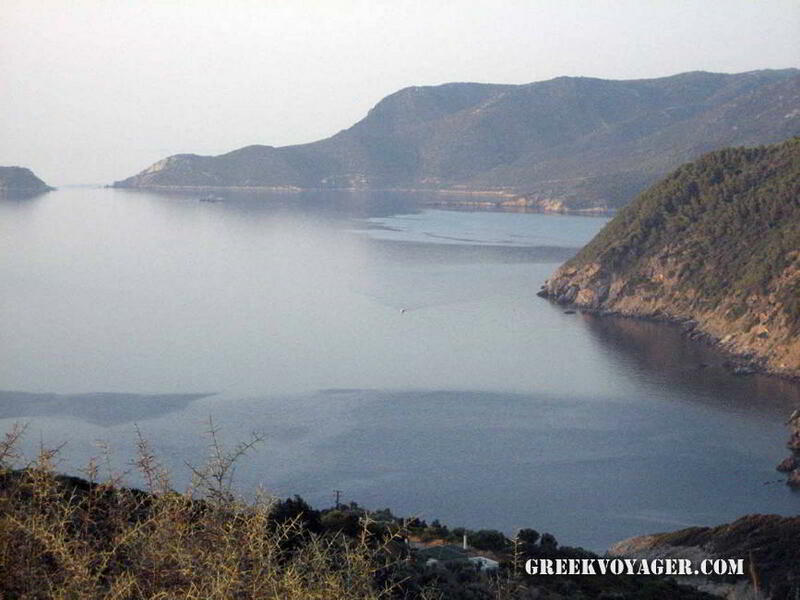 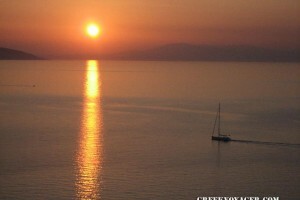 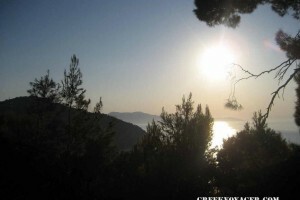 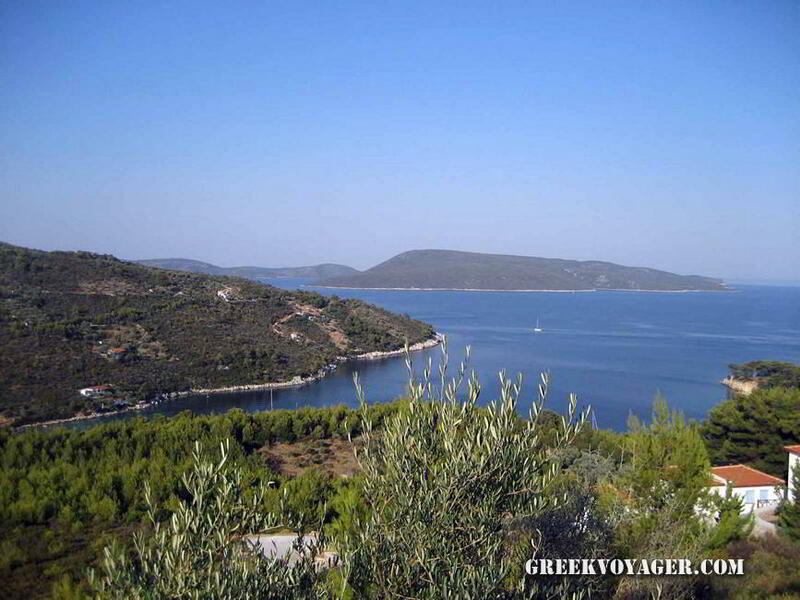 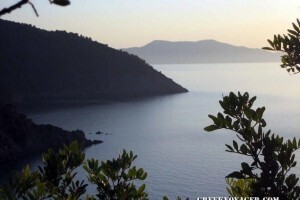 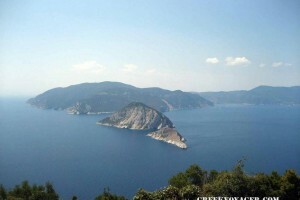 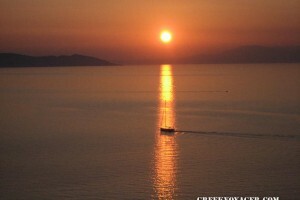 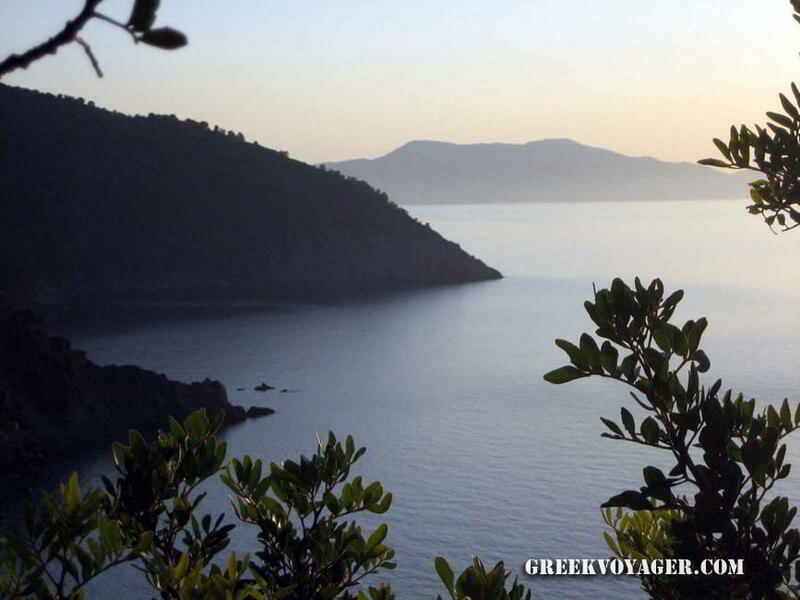 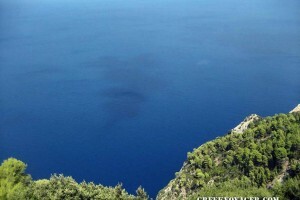 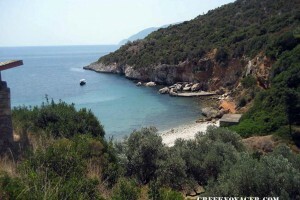 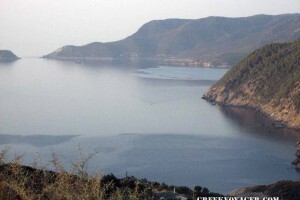 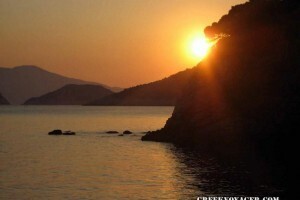 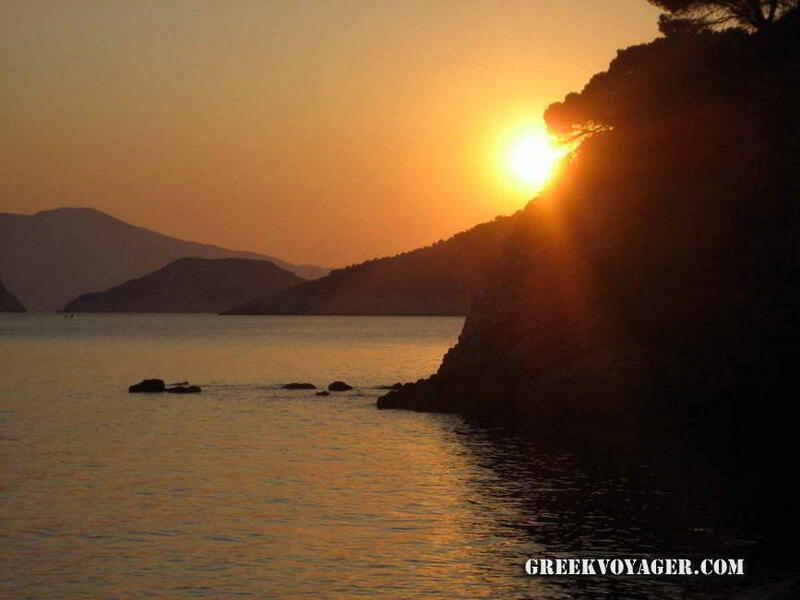 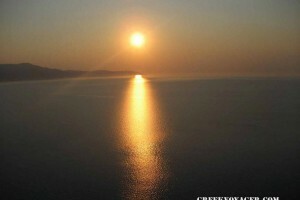 The beautiful island of the Northern Sporades cluster, is located east of the island of Skopelos. 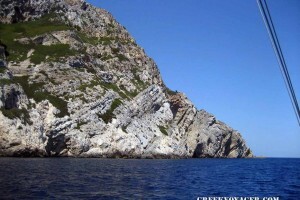 It has an area of 64 sq km, a length of 20 km and a width of 5 km. 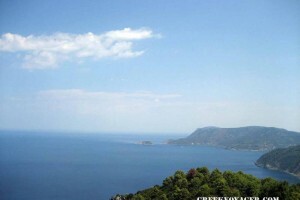 The coastline has a length of 64 km. 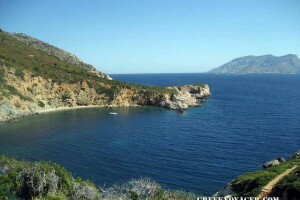 The shores are steep in the northwest, and smooth in the southeast, where there are the port and center of life Patitiri and small bays with nice beaches. 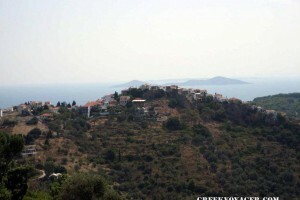 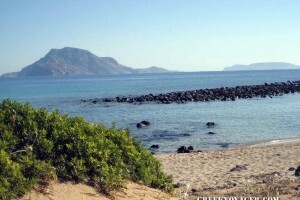 Close to the harbor Patitiri, are located the small coastal settlements of Roussoum Ghialos and Votsi and further north the coastal settlements of Steni Vala and Kalamakia. 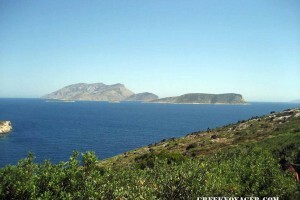 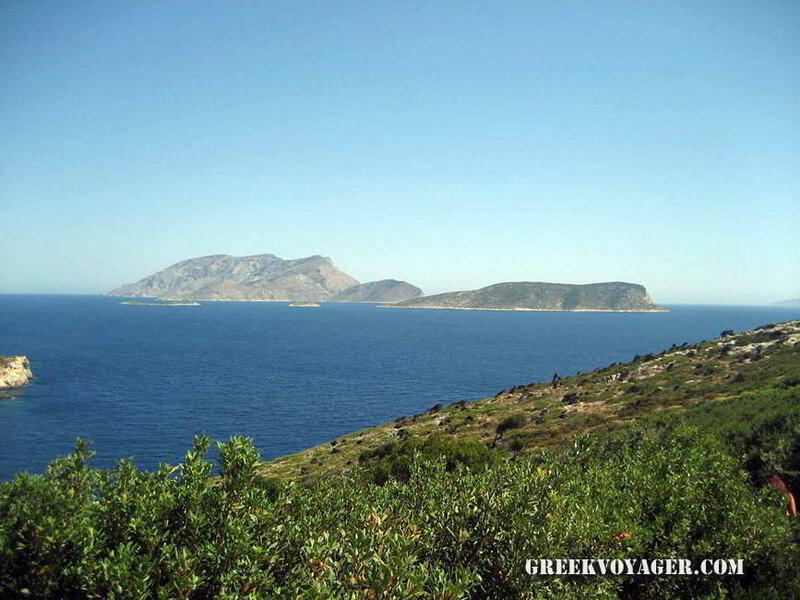 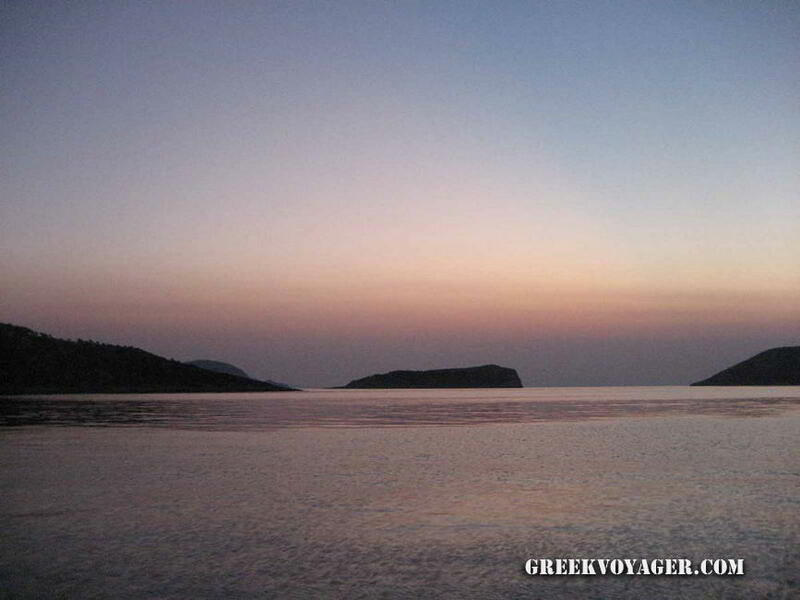 Opposite is the island of Peristera. 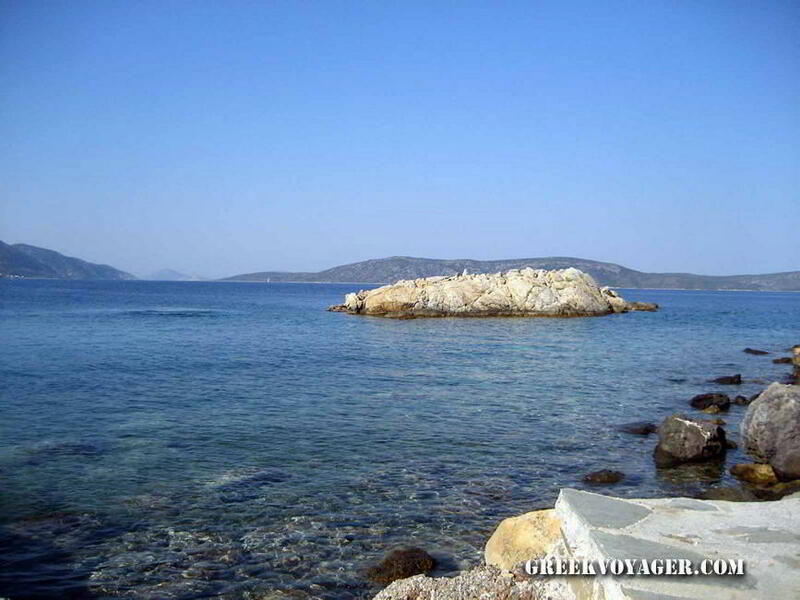 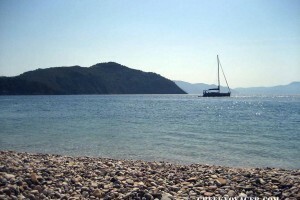 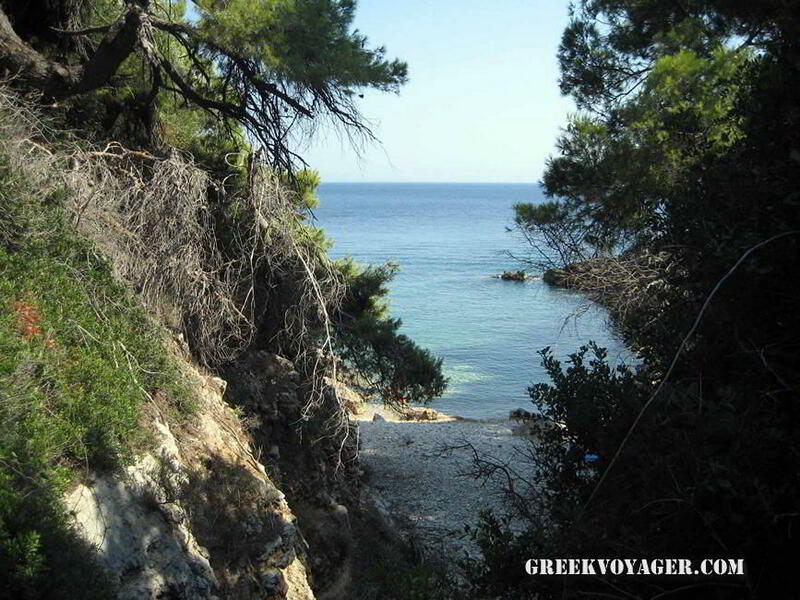 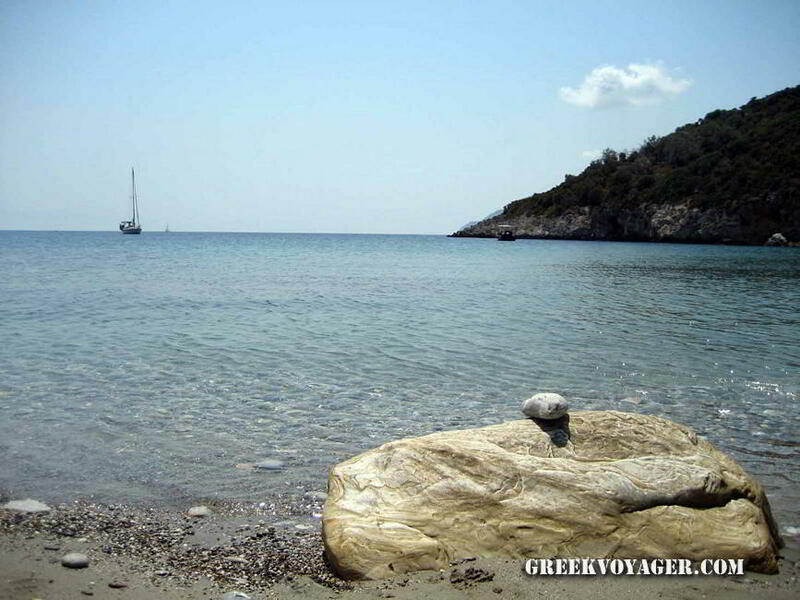 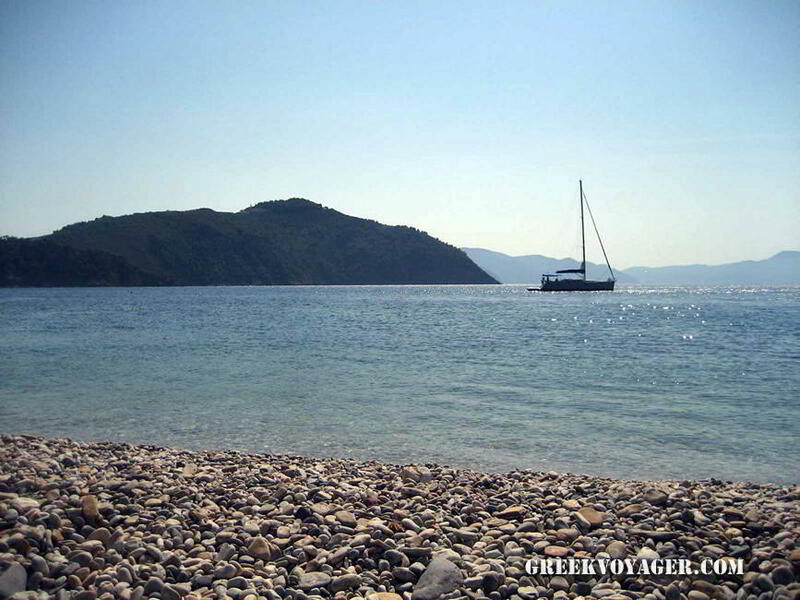 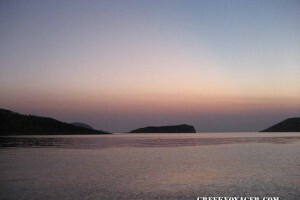 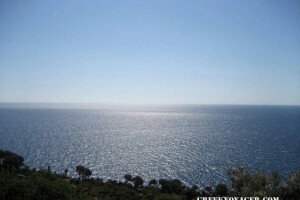 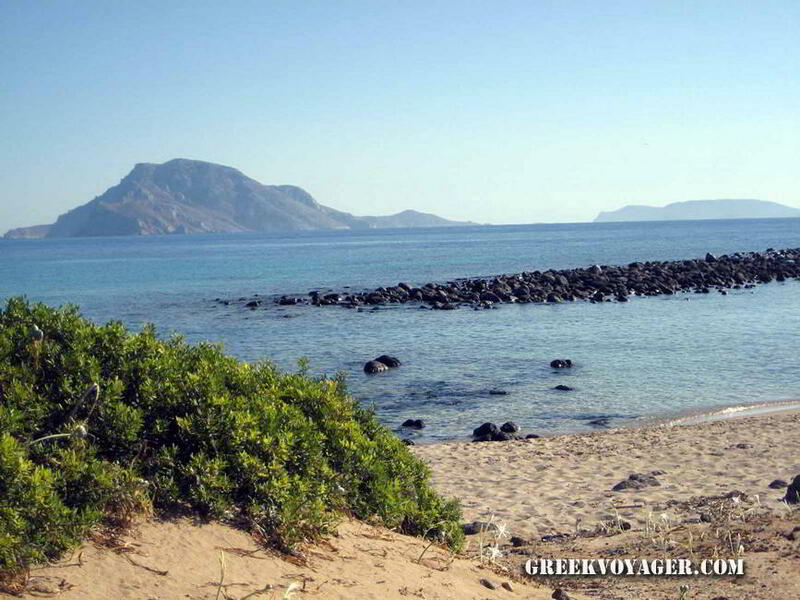 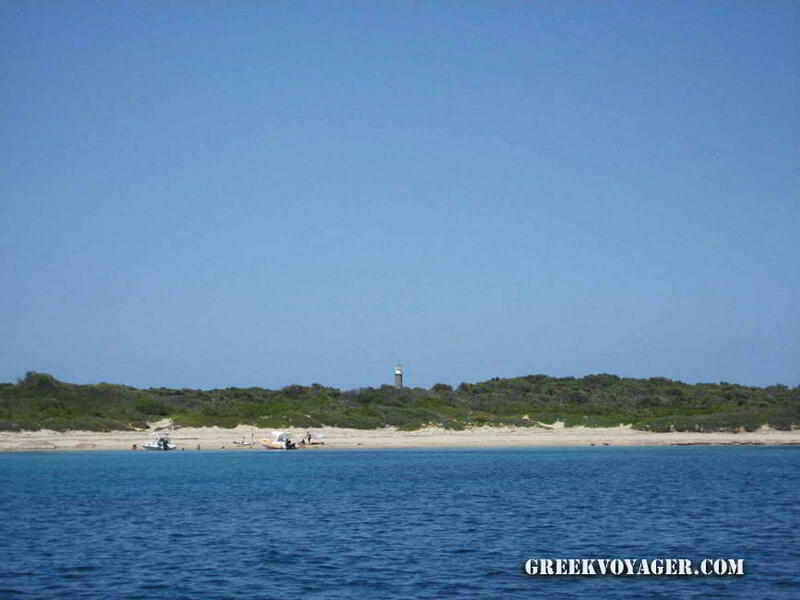 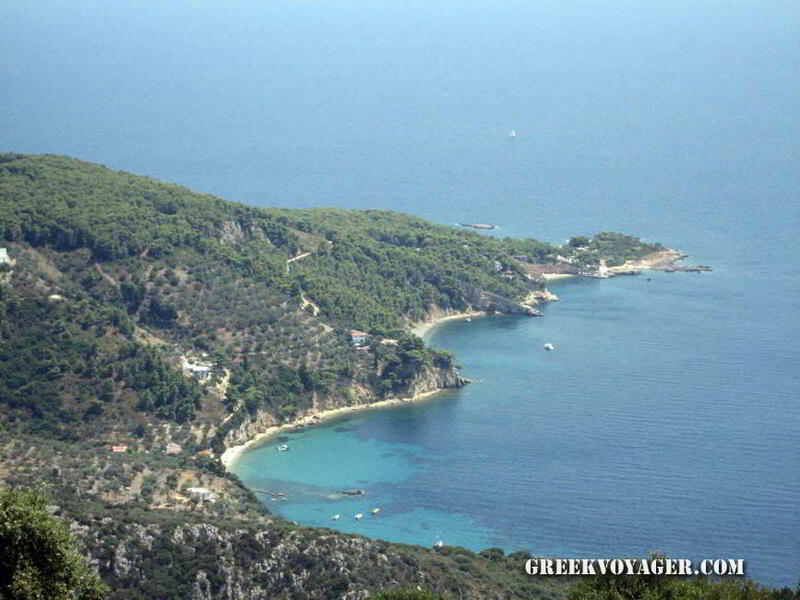 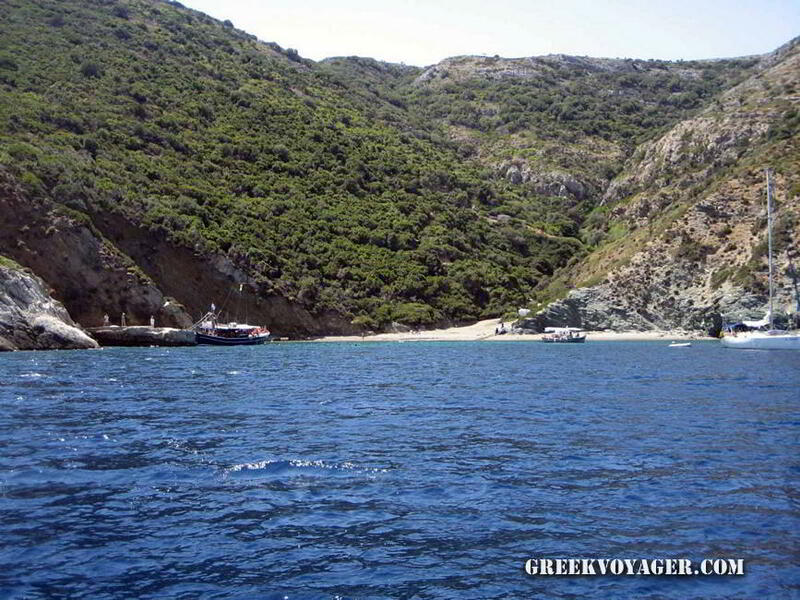 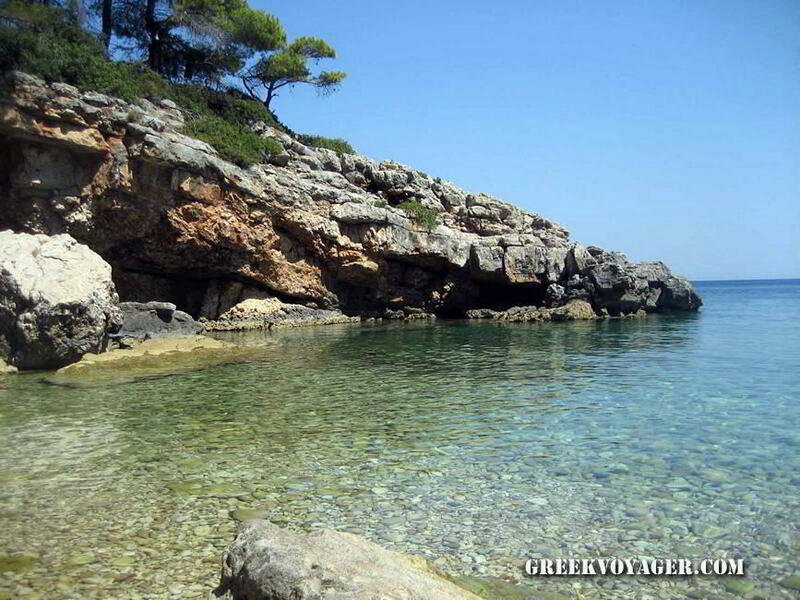 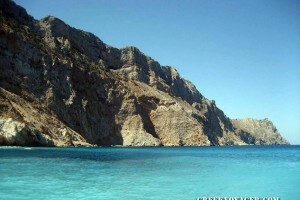 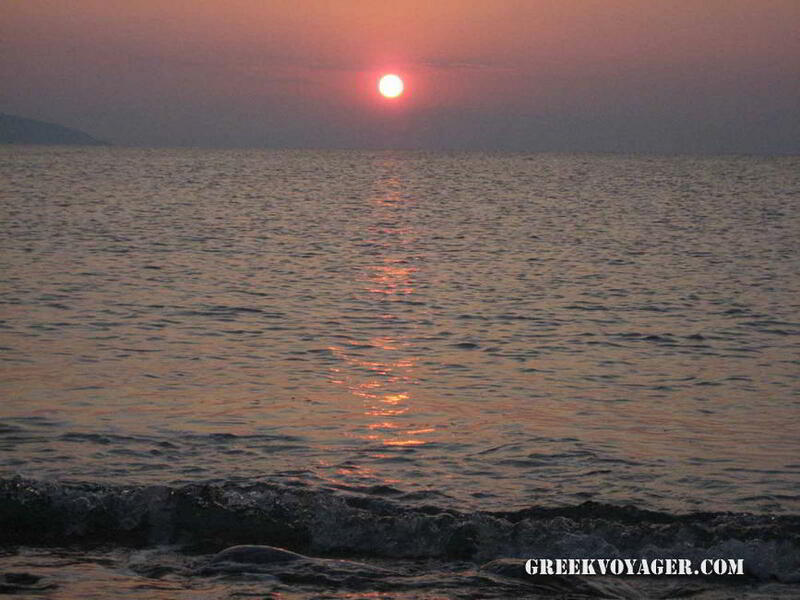 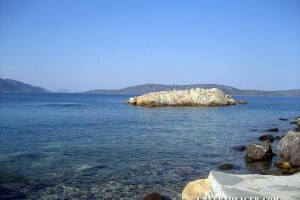 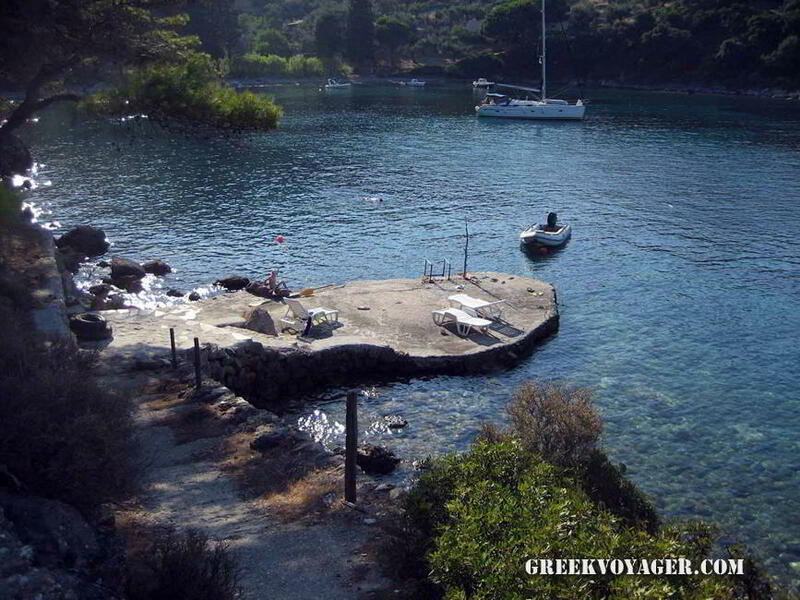 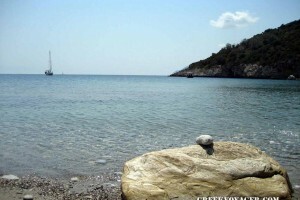 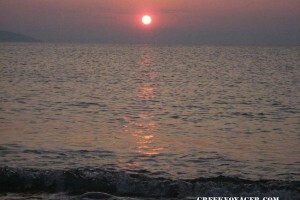 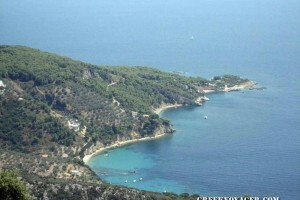 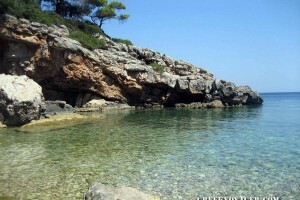 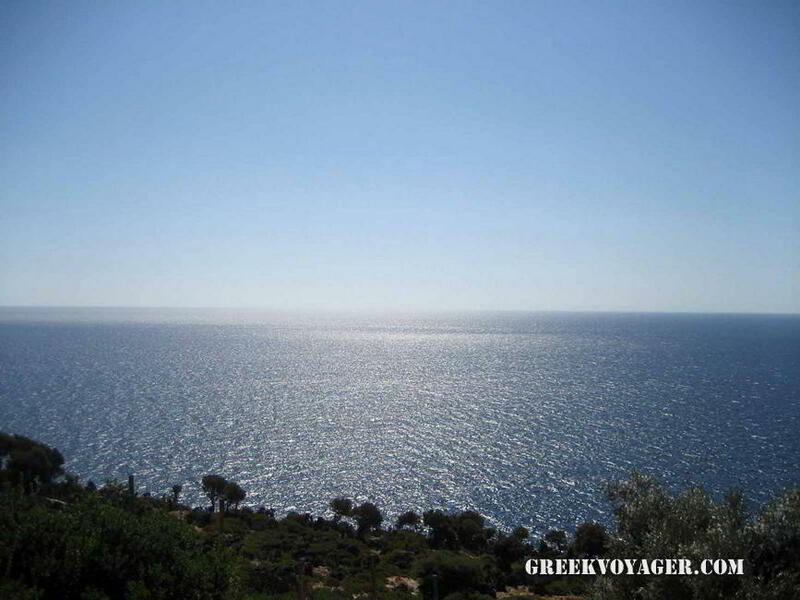 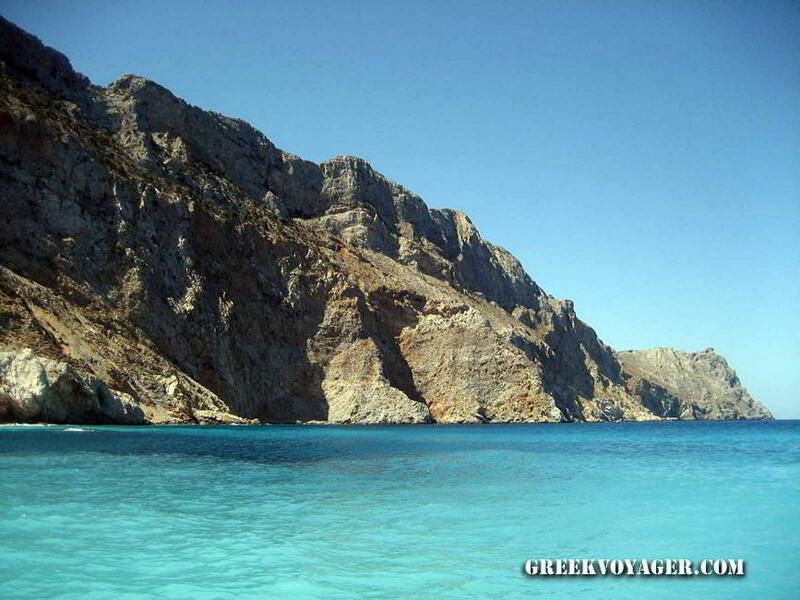 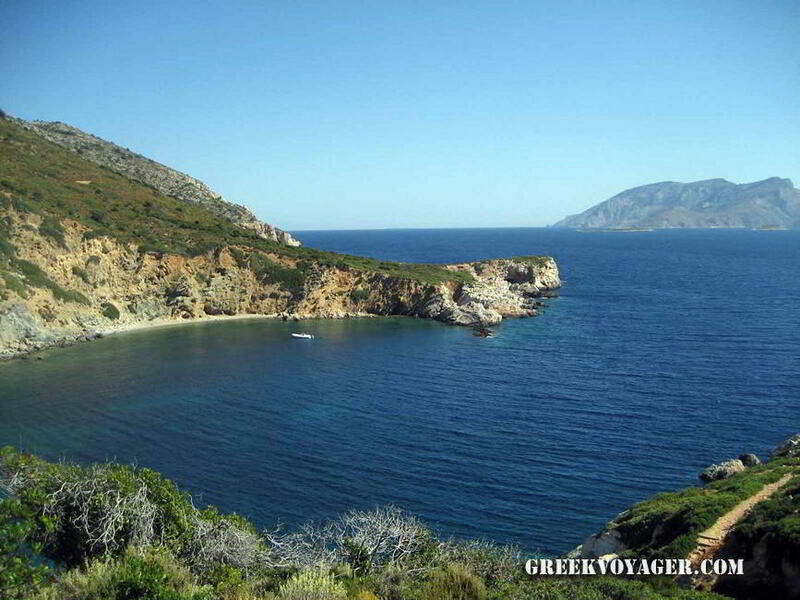 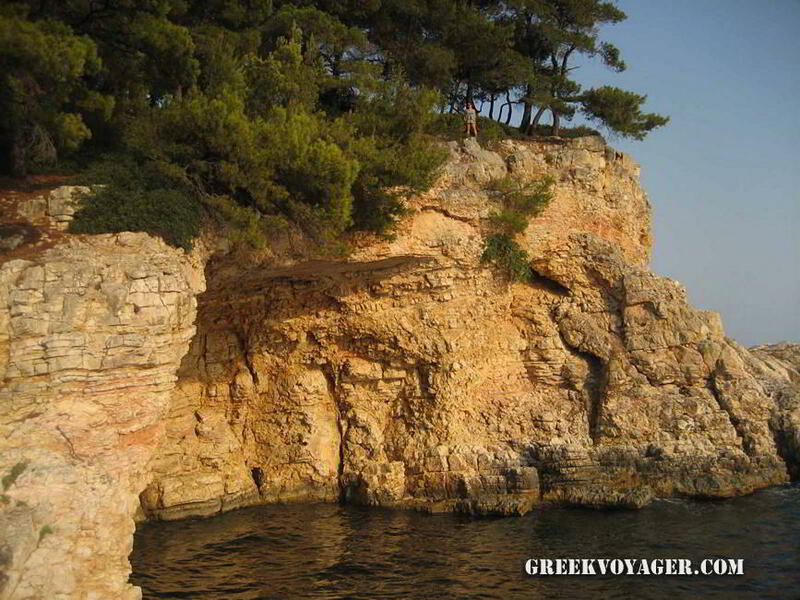 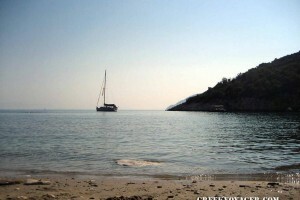 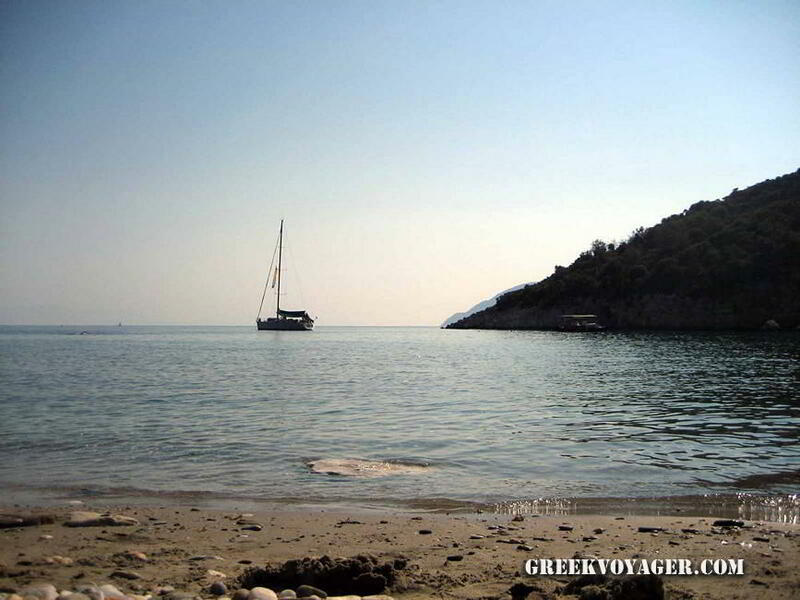 Of the many beaches of the island most known is the beach of Aghios Dimitrios. 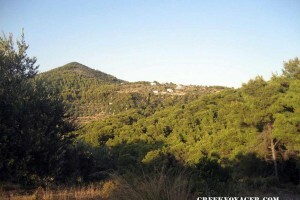 The old capital Chorio (Village), located on a hill in the interior, was destroyed by an earthquake in 1965 and was abandoned. 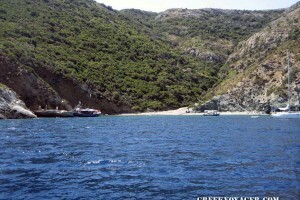 The inhabitants settled on the coast, in Patitiri. 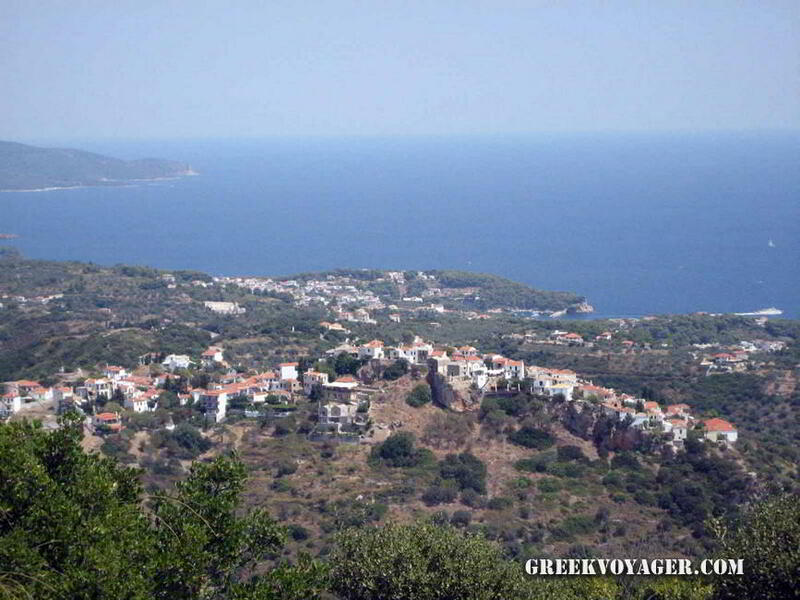 Over time Chorio was rebuilt, keeping its architecture, and was proclaimed as a traditional settlement. 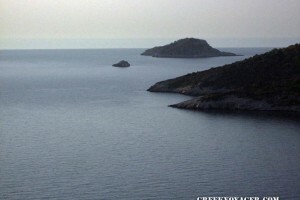 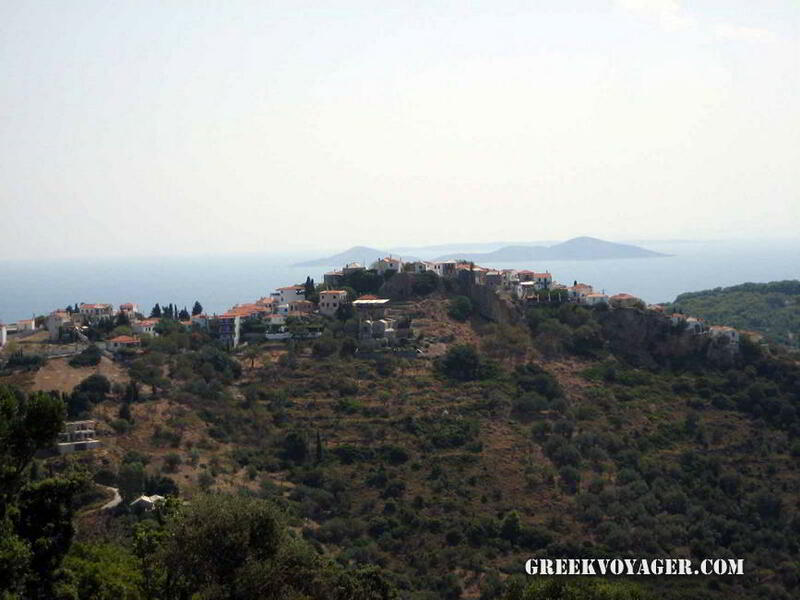 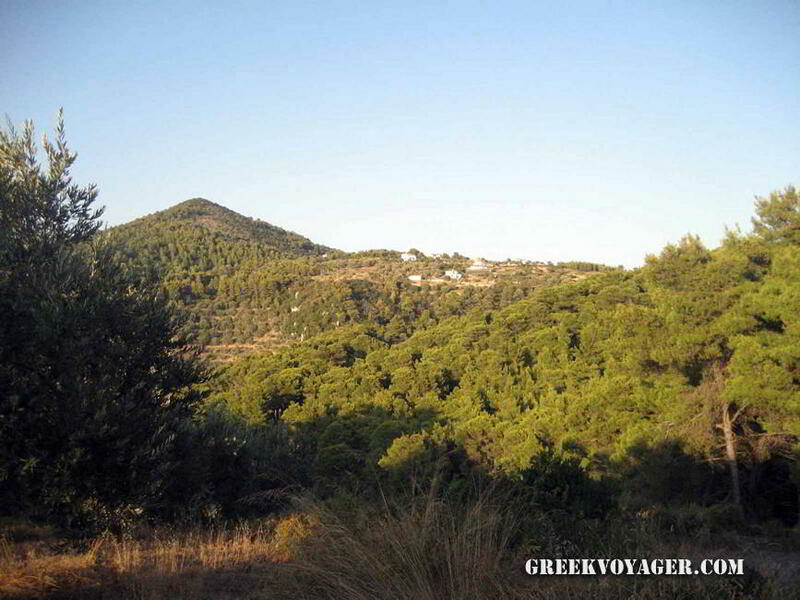 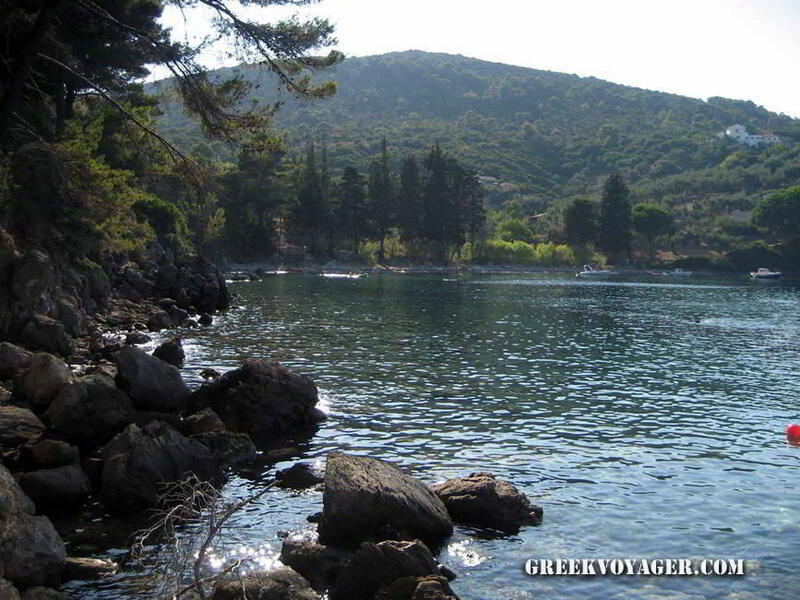 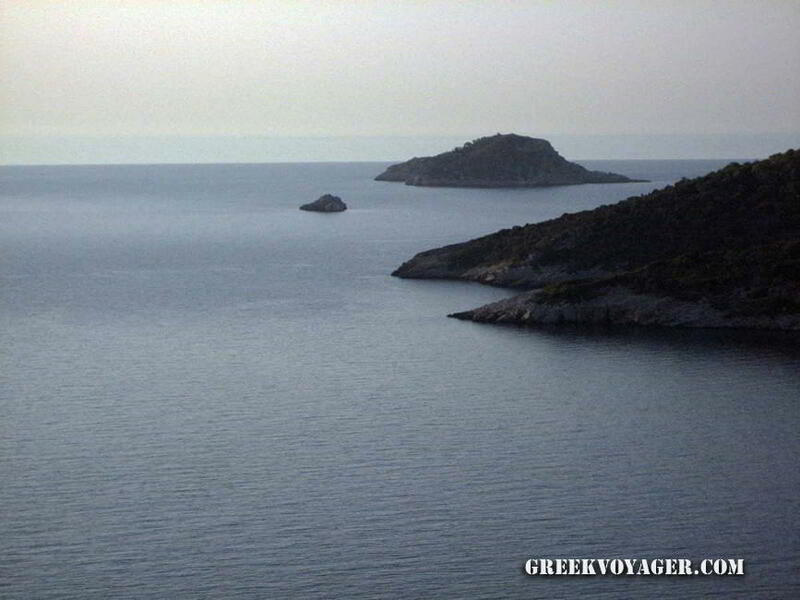 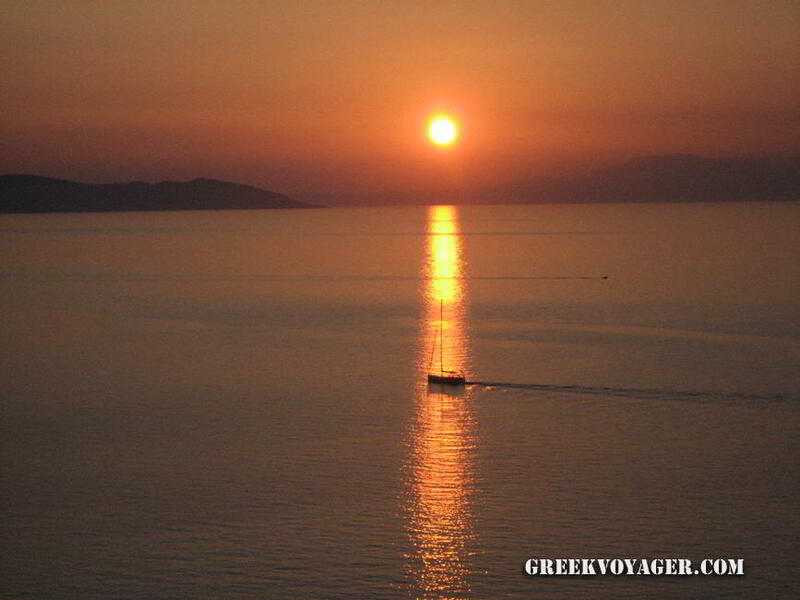 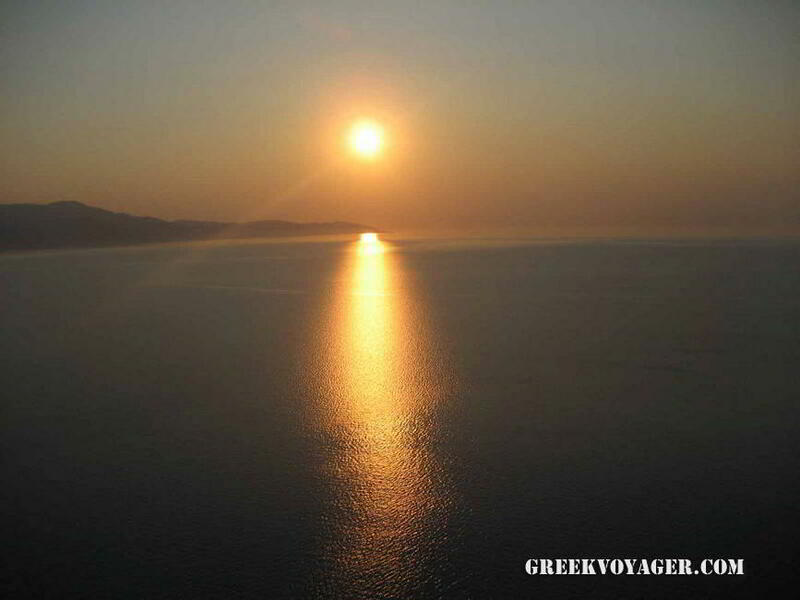 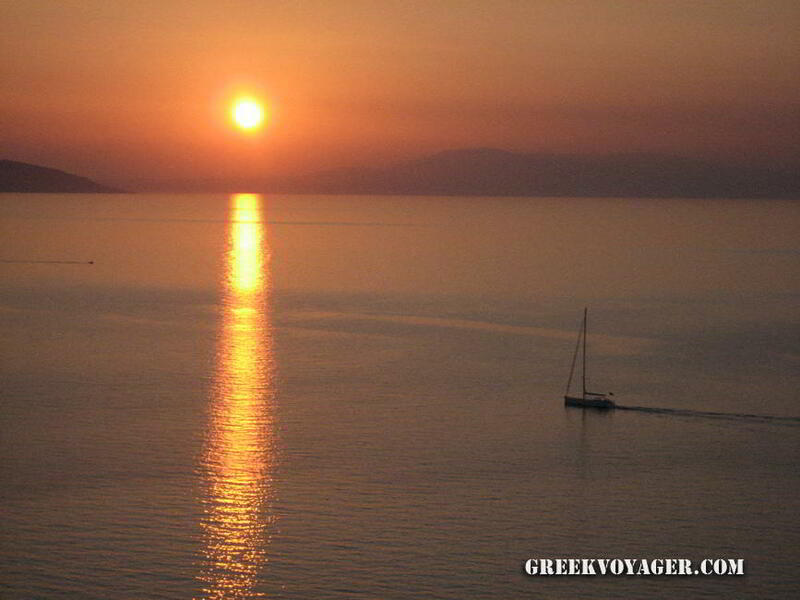 In ancient times the island was named Ikos. 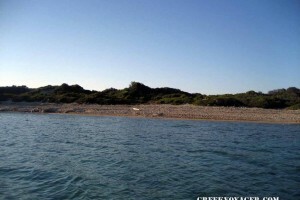 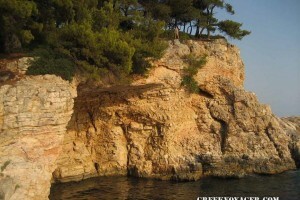 Fossilized bones and tools from the Mesolithic era have been discovered in the region of Kokkinokastro (Red Castle). 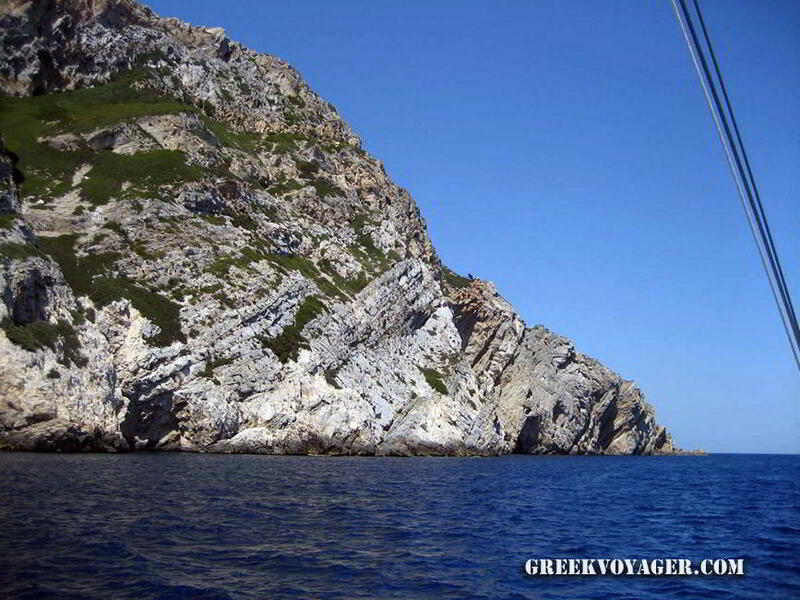 According to tradition, in the 16th century BC settlers came from Minoan Crete. 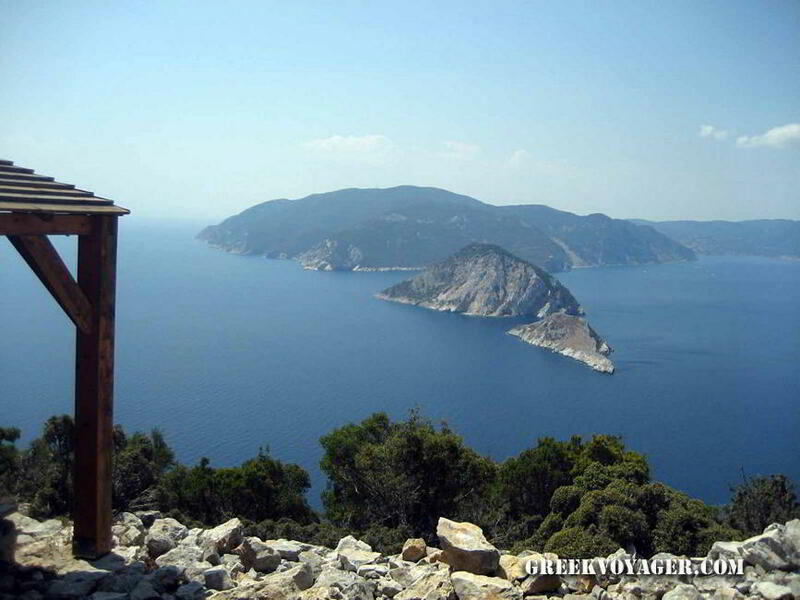 In Kokkinokastro there are also findings from the Mycenaean era. 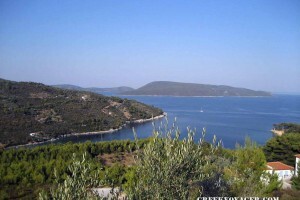 During the Classical years, there were two cities, one in Kokkinokastro and one in the region of Chorio. 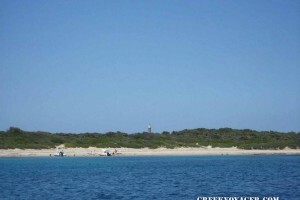 In 190 BC, the island was conquered by the Romans. 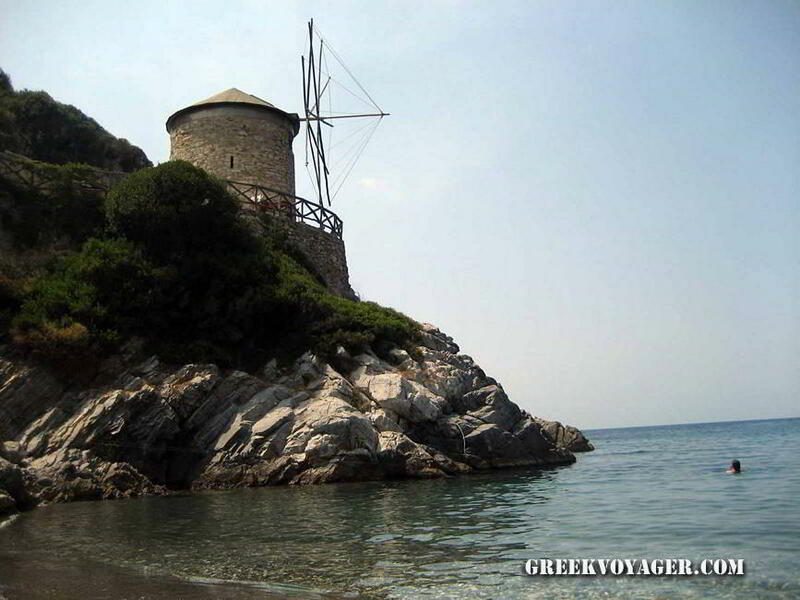 During the later Byzantine times, it was conquered in 1207 by the Venetians. 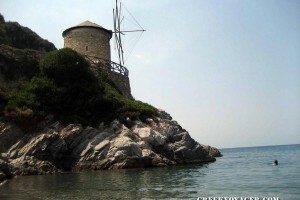 The Byzantines came back in 1276, but after the conquest of Constantinople by the Turks in 1453, the residents offered the island to the Venetians. 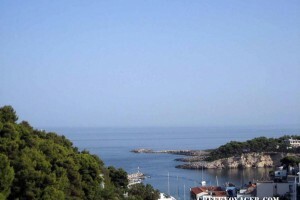 It was destroyed by the Turks during the Venetian-Turkish war in 1535 – 1538. 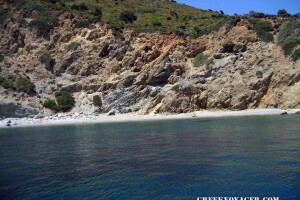 Alonissos is the only inhabited island of the National Marine Park of Northern Sporades, which, starting from Alonissos, stretches to the north and east over an area of 2,200 sq km. 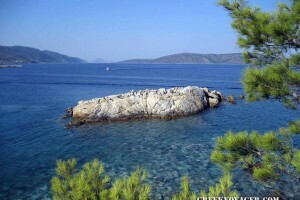 It is the largest marine park in Europe! 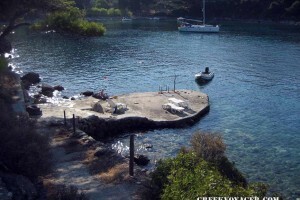 In this unique environment, they survive the monk seal monachus monachus, rare birds and hundreds of other species of animals and plants. 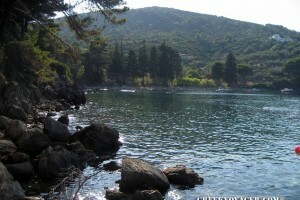 The park is divided into two zones. 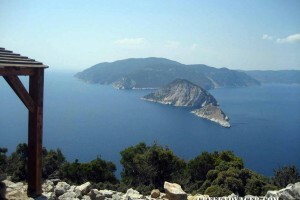 In Zone B, belong the islands of Alonissos and Peristera. 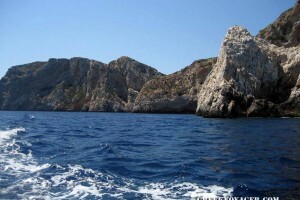 In Zone A, where there are strict restrictions on vessels and activities, the islands of Kyra Panaghia, Youra, Psathoura, Piperi, Skantzoura, and smaller islands. 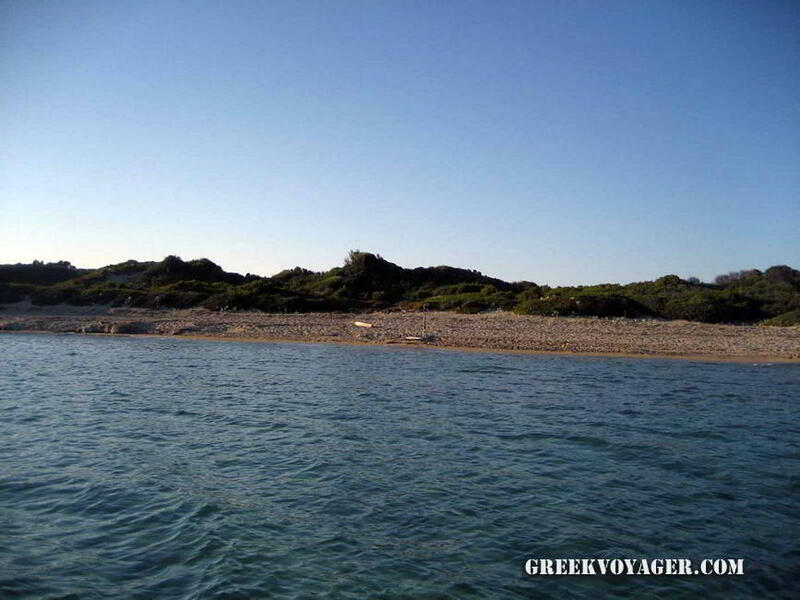 In Patitiri is the head office of the Management Authority of the Marine Park, which is responsible for issuing permits for entry and activities. 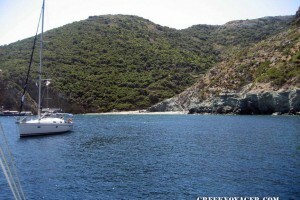 From Patitiri tourist boats depart for daily trips to the Marine Park and its islands.